You should be describing in your journal and in your layouts the seasonal traditions your family experienced ... the focus this week is on Thanksgiving. 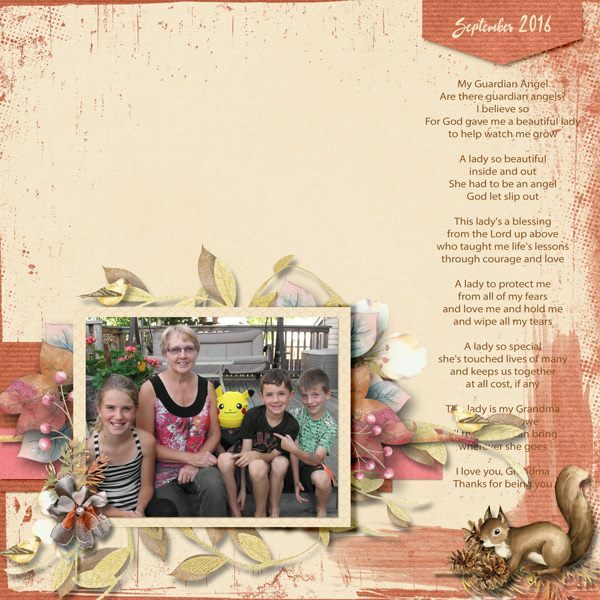 Here are two layouts using my ALL GOOD GIFTS collection. 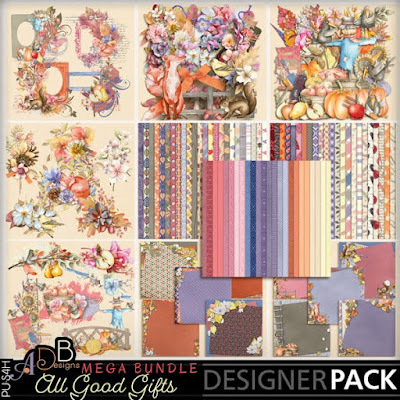 It is a perfect collection for Thanksgiving. I really like what Renee did with my WE TOGETHER TOGETHER collection. 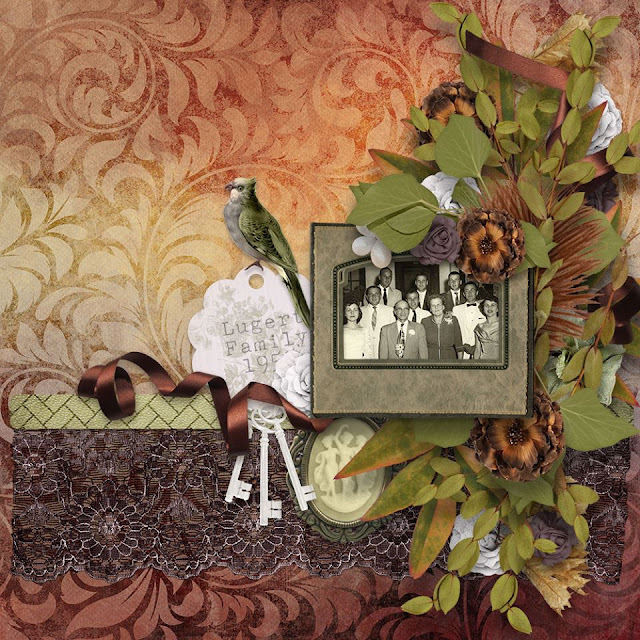 And Patty did a vintage layout to showcase a family photo from the past. Much like today, families take advantage of the holidays when we are all gathered together to have family photos taken. 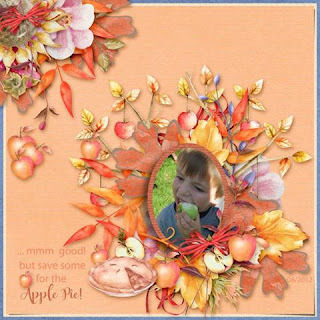 She used my WIND IN THE REEDS collection for it's more manly color scheme.